We take omelettes to a whole other level! We Got Lunch Covered Too! 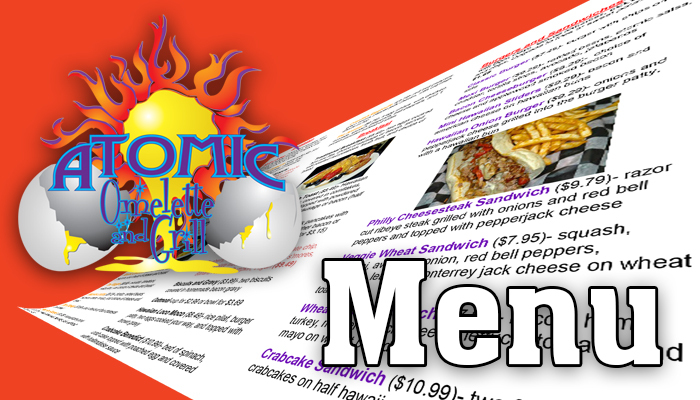 From sandwiches to seafood and vegetarian friendly selections, we got something for everyone! Did I mention we have Omelettes!? Because, seriously! We got them!!! 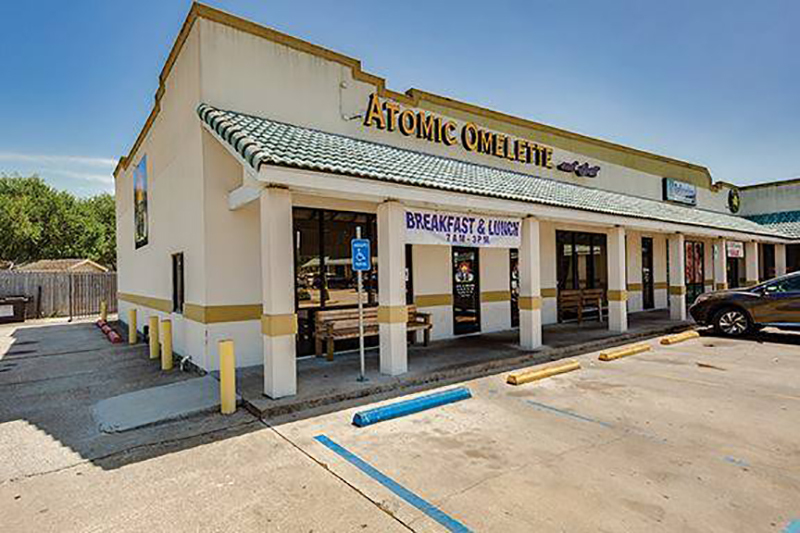 We are Corpus Christi's premiere Omelette and lunch spot! Gift cards are perfect for the hard to shop for friend or family member! 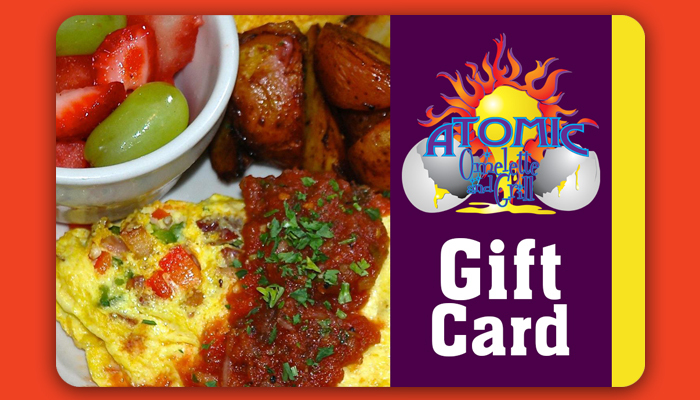 Get a gift card for them and give the gift that's loaded with taste! From breakfast selections to lunch items guarenteed to satisfy any appetite and palatte! You can also download our menu here! 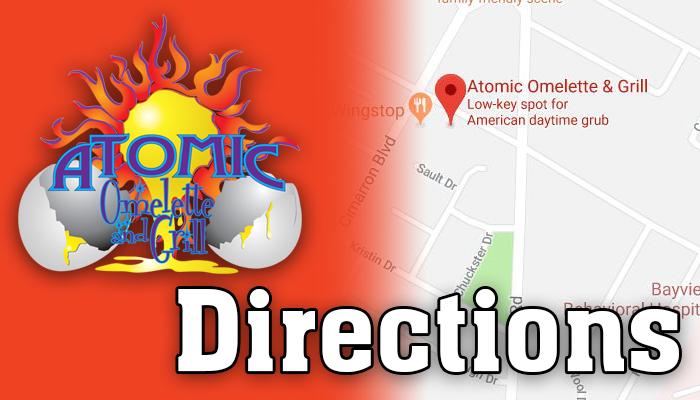 Maybe you are a local but have never been to our location or you need to meet a friend here, finding us has never been easier! 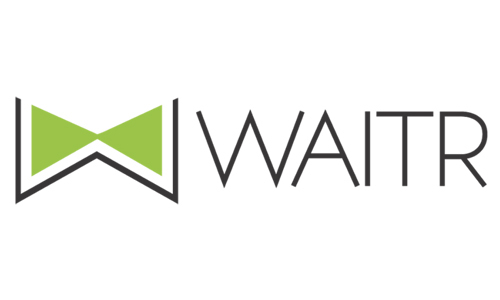 We are Corpus Christi’s premiere Omelette and Lunch spot. Choose from a variety of tasty menu options or build your own. In the mood for something different? Try our signature Pancakes and Hawaiian French Toast. But our omelettes are just the beginning. Our mouth watering specialty Burgers are made to order. We also serve genuine Philly’s, crab cakes, seafood, pastas, sandwiches and homemade desserts. With a combined 65 years in the food industry, owner Mike VanSyckle and Manager Dana Bazinet have created a comfortable atmosphere, with a flavor for casual dining and hand made family recipes. Fresh eggs, succulent meats, poultry, fish and tangy cheeses.